Turin, in Italy, is a former industrial city that was completely redesigned for the 2006 Olympics. It’s now one of the most pleasant Italian cities to visit! Just like other more visited Italian cities such as Rome or Venice, Turin clearly deserves to be visited for a weekend or a few more days. With its world-class museums such as the National Cinema Museum and National Automobile Museums, royal residences, magnificent squares and churches. You will find in Turin everything that makes Italy charming. In order to help you plan your stay, I have created this guide of the best things to do in Turin. You will find all the activities and points of interest you need to see during your stay in town! 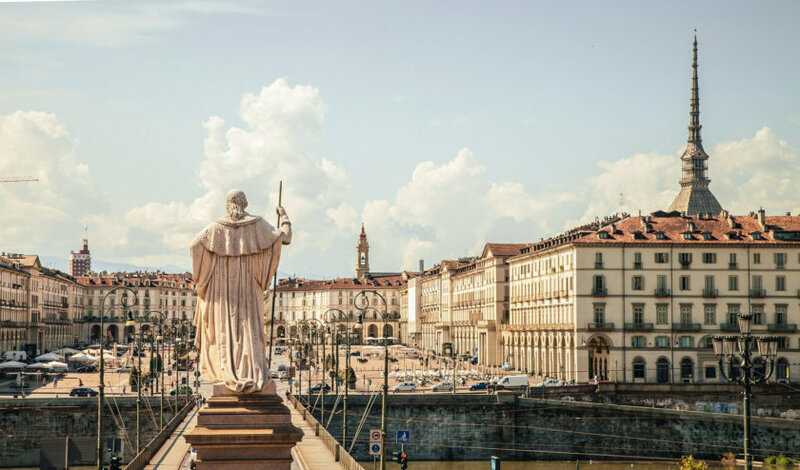 And at the end of the article, I will give you itineraries to visit Turin in 1, 2, 3 or 4 days as well as a list of the best accommodations in town depending on your budget. So, what are the best places to visit in Turin? Let’s find out! Where to stay in Turin? Where to eat in Turin? You’re traveling in Italy? These articles will help you! Before starting my list of the top things to see in Turin, I’ll give you THE best tip to visit the city and save money: purchase the Torino + Piemonte card. Depending on the duration of your stay in Turin, you can choose the 1, 2, 3 or 5 days version. They will grant you access to almost all cultural sites free of charge and to promotional offers for some of them. it costed me 35€ for 3 days. As museum entrance fees are all around 10€, it was really worth it, as I didn’t have to pay a single euro for all the visits I did! The card’s validity time will begin the first time you will use it. If you visit your first museum on Monday at 2 pm., you can use the card until 2pm on Thursday for a 3-day card. This card isn’t a “skip the line” ticket. You can buy the 2 days card here and the 3 days card there. Let’s start with the famous Piazza Castello square and the historical monuments surrounding it. 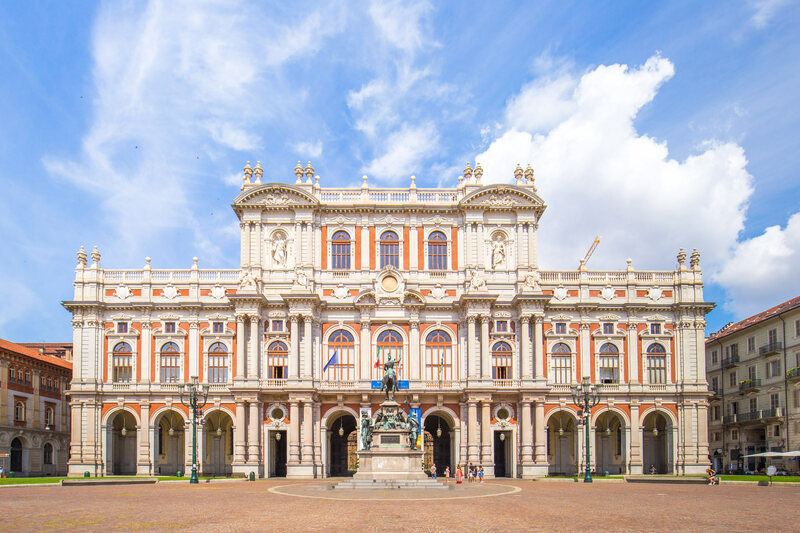 You simply can’t miss it during your stay in Turin, as it’s where some of the must-see monuments like the palazzo Madama or the Palazzo Reale are located. In summer, this square is also popular for its refreshing water jets or as a great place to enjoy a good Italian ice cream. There are numerous gelateria (ice cream shops) around the square and in the nearby streets. On the other side of Piazza Castello, where the towers of the Palazzo Madama are located, you can see the First World War mermorial, in tribute to Emanuele Filiberto, 2nd Duke of Aosta. The king’s apartments, with gilded luxurious decoration everywhere. The Royal Library and its 200,000 books, including masterpieces such as the self-portrait or the Codex on the Flight of Birds by Leonardo da Vinci. The Royal Armory and its impressive collection of stuffed horses with their armored riders. 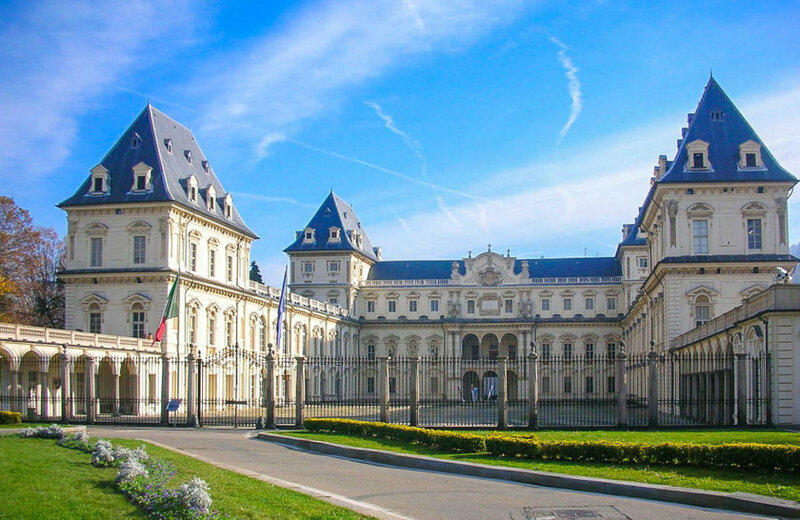 This magnificent palace is clearly a must-see during your stay in Turin. I really loved the Royal Armory, it’s the most impressive I have seen to date. Another palace located on Piazza Castello is the palazzo Madama, a building with an atypical architecture. It was first a medieval castle before becoming a palace with a baroque façade! Inside, there is the Turin City Museum of Ancient Art, housing a nice collection of ceramics, drawings and sculptures. During the visit, you can go in the small garden to admire the walls and towers of the palace from the inside. In addition to the museum, the highlight of the visit is for sure the stunning view from the top of the towers! 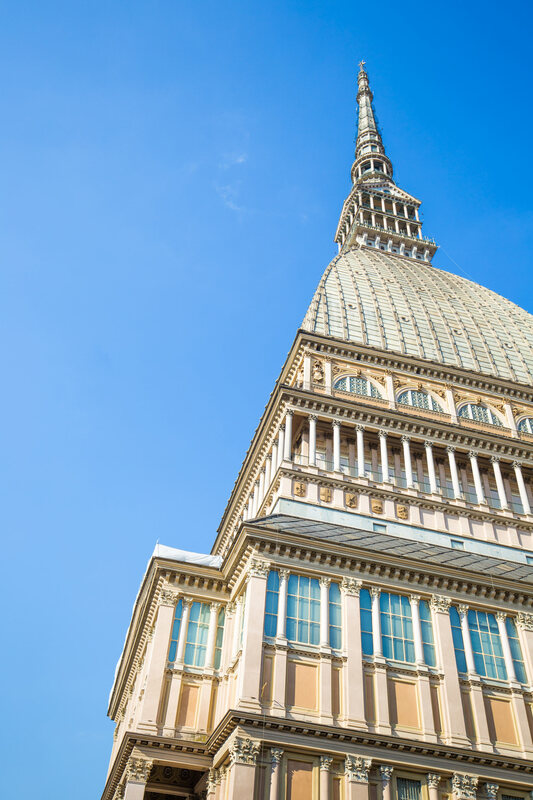 By taking the elevator or the stairs, you will reach the top of the tower and will be able to admire a very nice panorama of the city of Turin and its iconic monument: the Mole Antonelliana. I tell you more about it just below! Located in the Mole Antonelliana, the National Museum of Cinema is for many the best museum of the city. Very few people know this: Turin is the birthplace of Italian cinema! It’s no wonder that the city needed to have an amazing museum dedicated to the 7th art. 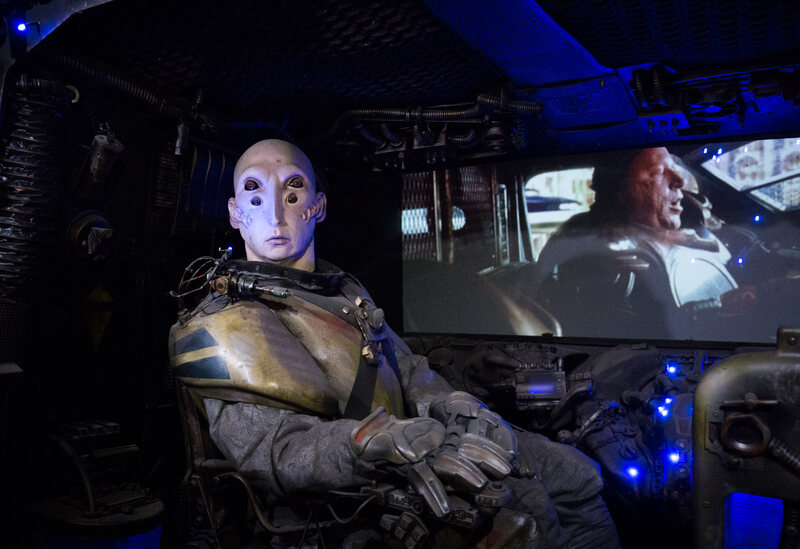 The exhibitions are very well done and retrace the history of cinema with all kinds of objects, from the first cameras to the helmets of the Star Wars saga. In the huge main room, cinema seats are even arranged to watch movies displayed on 2 giant screens on the ceiling. But if so many people visit the museum, it’s above all for its unique attraction: the panoramic elevator with transparent walls that will take you to the Mole platform. 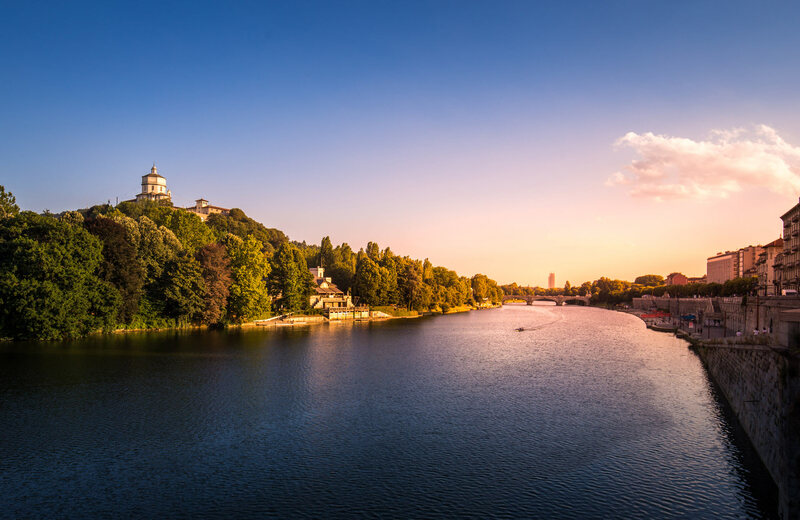 The perfect place to enjoy a 360° view of Turin. Be patient because the waiting line is often several hours long! But it’s really a unique experience to live during a stay in Italy. if you want to take the elevator, you will need to pay an additional fee to the museum entrance. The Torino card gives you a discount. All the information about Turin Cinema museum is on the official site. If you don’t take the Torino Card, I recommend you to buy the Skip the line tickets for the Cinema Museum + panoramic elevator. You will save a lot of time! 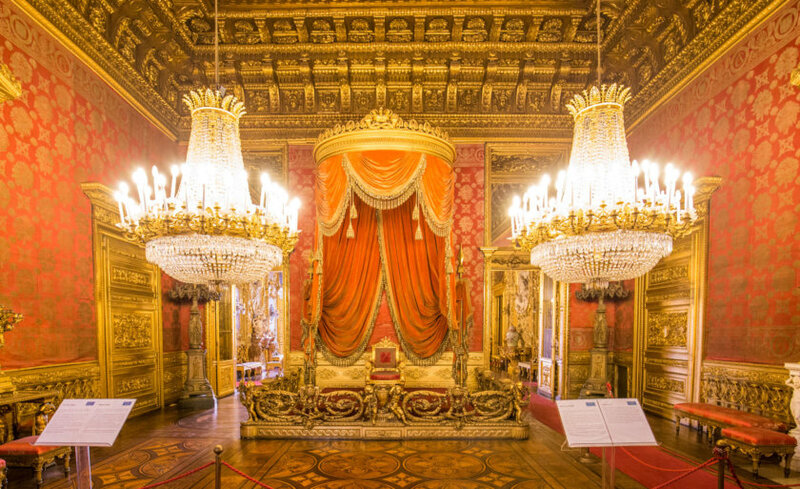 The Carignan Palace is the third palace-museum to visit, after the Palazzo Reale and the palazzo Madama. It houses the Italian Risorgimento Museum and presents the history of Italy through numerous texts, documents, films and superb paintings. Don’t miss the hall where the first Italian parliament met. Just behind the Carignan Palace, at the entrance of the Risorgimento museum, you can also see the Carlo Alberto square, with the equestrian statue of Charles Albert of Sardinia. This square is very photogenic thanks to the beautiful facade of the museum in the background. As in every squares of Turin, you will also find food and drinks there. Not far from the Carignan Palace is one of Turin’s greatest museums. With its 4 floors and numerous exposition rooms, this recently renovated Egyptian museum is the second largest in the world, after the one in Cairo! The collection includes statues, sarcophagi and mummies, so you can immerse yourself in ancient Egypt for at least 2 hours. Piazza San Carlo (San Carlo Square) is one of Turin’s main squares. This large and elegant square is my favorite in the city. With its arcades, its 2 twin churches (the church of Santa Cristina and the San Carlo Borromeo church) and the equestrian statue of Emmanuel Philibert, Duke of Savoy, it’s extremely photogenic! Under the arcades, you can go shopping or have a coffee in one of the peaceful coffee shops. No noise, it’s a pedestrian only area. The Piazza San Carlo also often hosts cultural events. The Automobile Museum is the other famous museum in Turin. According to The Times magazine, it’s one of the 50 best museums in the world. With nearly 200 cars from 80 different brands ranging from steam cars to the latest models, the museum presents one of the world’s finest collections of rare vehicles. The Cattedrale di San Giovanni Battista is the main church of Turin. It’s especially famous for housing the holy shroud, that is said to have enveloped the body of Christ. Its authenticity is of course questioned, but this does not prevent visitors from rushing into the cathedral. It should be noted, however, that the relic rests under a watertight seal and is covered by a sheet, so you won’t have the pleasure to admire it. Porta palatina, located not far from the cathedral and the palazzo Reale, was one of the 4 entrances of Turin during the Roman period. 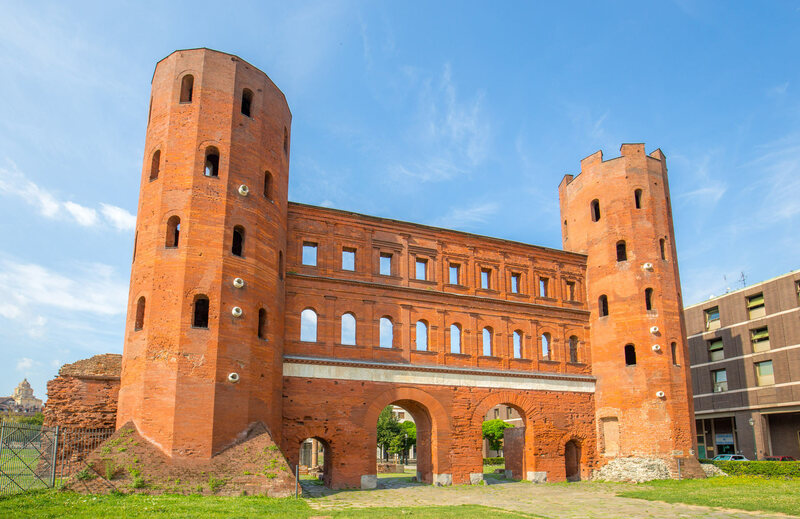 The building is composed of a central door with 2 entrances for chariots, 2 pedestrian entrances dating from the Roman period and 2 towers with battlements added during the medieval period. It’s one of Turin’s oldest monuments. The Porta Palazzo market is located close to the Porta Palatina and occupies almost all the piazza della Repubblica, which is almost 50,000 square meters. 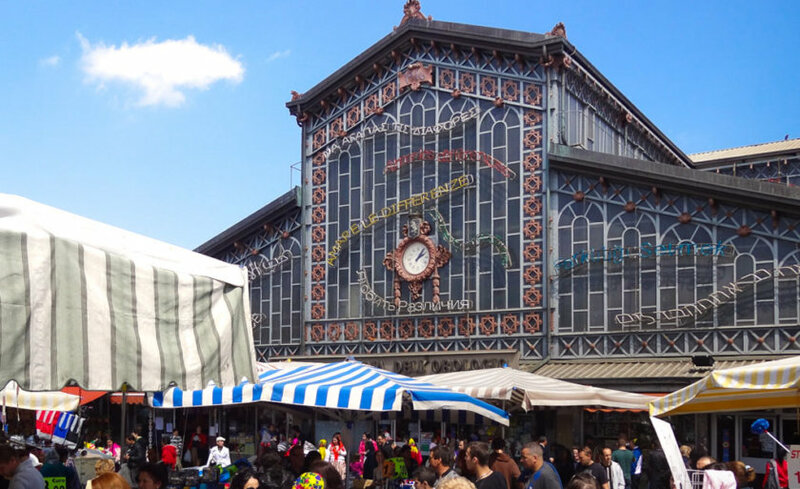 It’s the largest open-air market in Europe. With about 1,000 stalls, you can find everything: fruit and vegetable, deli meats, cheese, but also clothes, pots, pans and all sorts of household items. And all this at very attractive prices, especially for food! 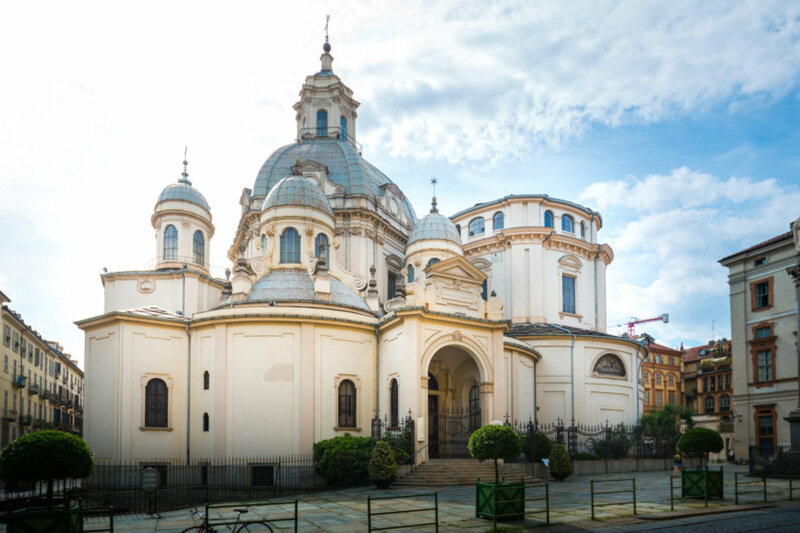 The Santuario della Consolata (Church of the Virgin of the Consolation), a masterpiece of Baroque art, is one of the oldest churches in Turin. In its bell tower, you can find the largest bell in Piedmont and a saint is buried there. The sanctuary is especially devoted to the worship of the Virgin Mary, with a procession and ceremony dedicated to her every year in June. Spreading over 42 hectares, the Valentino Park is a popular picnic or stroll spot for Turinese families. For you it will be an opportunity for a nice walk in the shades, or along the Po river. Perfect to enjoy a bit of freshness! Don’t miss the Fontana di Dodici Mesi (Fountain of the Twelve Months) and the Arco del Valentino there. The medieval village of Turin is located in the heart of Valentino Park. It was created in 1884 for the general Italian exhibition that took place in Turin. It recreates the atmosphere of a typical 15th century Piedmontese town: you can see a drawbridge, craft shops and even a chapel. You can also visit the fortress, a reconstruction of a Seigneurial residence. Inside, you can see the weapons room, the dining room, the kitchens and undergrounds housing the prison. Built in 1620 by Duke Emmanuel Philibert of Savoy, the Valentino castle today houses the University of Architecture and isn’t open to visitors. When walking in the park, you will however be able to admire the outside facade and walk around it. The facade on the city’s side is inspired from French castles while the one overlooking the river, all in red bricks, is Italian style architecture. Another beautiful place to see in Turin: the Vittorio Veneto square. It offers a very nice view of the river, the Gran Madre di Dio church and Turin surrounding hills. It’s also the ideal place for an ”aperitivo” or a meal in one of the good restaurants located on the square. 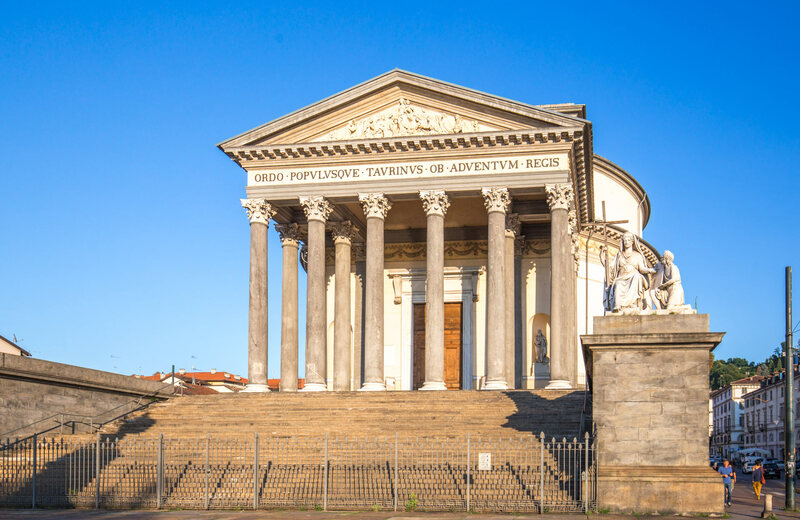 The Gran Madre di Dio Church was built in tribute to Victor Emmanuel I, for his victory over Napoleon in 1814. It was built in neoclassical style, directly inspired from the pantheon of Rome. The interior is entirely dedicated to the Virgin Mary, with bas-reliefs depicting her life. Anecdote: the Holy Grail would be buried outside the church, between the two statues representing Faith and Religion. On the right side of the Gran Madre di Dio church, you can take the road leading to the Monte dei Capuccini. The hill’s name comes from the fact it was given to the Capuchins by the house of Savoy to build a church and a convent. At the top, you will find the most famous view of Turin and enjoy a beautiful scenery overlooking the city and the Alps on the horizon. You can also enter the Santa Maria Church, and visit the recently renovated Museo della Montagna. Don’t hesitate to do it, especially if you have the Torino card: you will not pay anything and you will have access to the roof panoramic terrace for an even better view of the city. It was built in 1615, following the Roman model, to serve as a residence for Savoyan queens. To see inside: the magnificent Chinese cabinet and the main living room featuring frescoes and paintings. 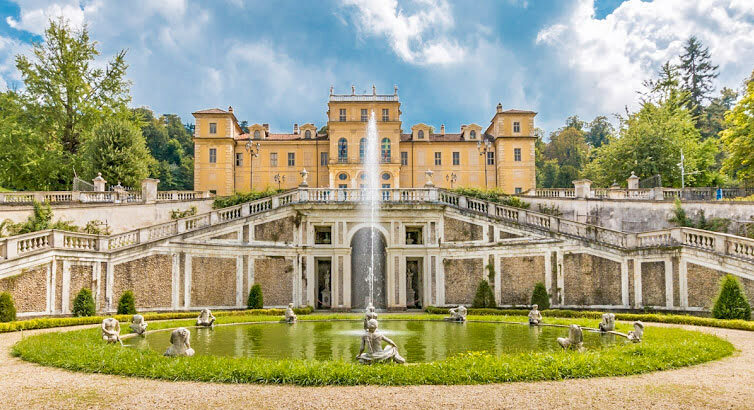 It’s also famous for its amphitheatre-shaped garden with a beautiful fountain, small waterfalls, the vineyard (still in activity) and the panorama of the city. You can see it from afar when walking in Turin: the 670m heigh hill with the basilica di Superga built at the top catches the eye. From there, the view over the city and the Alps is breathtaking! To get there, I advise you to go by car or by funicular for a more typical experience. If you want to go up there on foot, no problem, but I’m warning you, the climb will not be easy! The basilica is remarkable for its huge circular facade with a dome. Inside there is the crypt with the House of Savoy king’s tombs as well as those of princes and princesses. You can also go up a narrow spiral staircase to access the balcony at the top of the dome and enjoy a view of the surrounding hill. The basilica is also sadly famous for the tragedy that took place there in 1949. The plane that carried the Turin football team (Torino football club), crashed on the hill, demolishing a part of the convent. Since then, a funerary monument has been erected and Turinese people come to visit it every year on the anniversary of the tragedy. 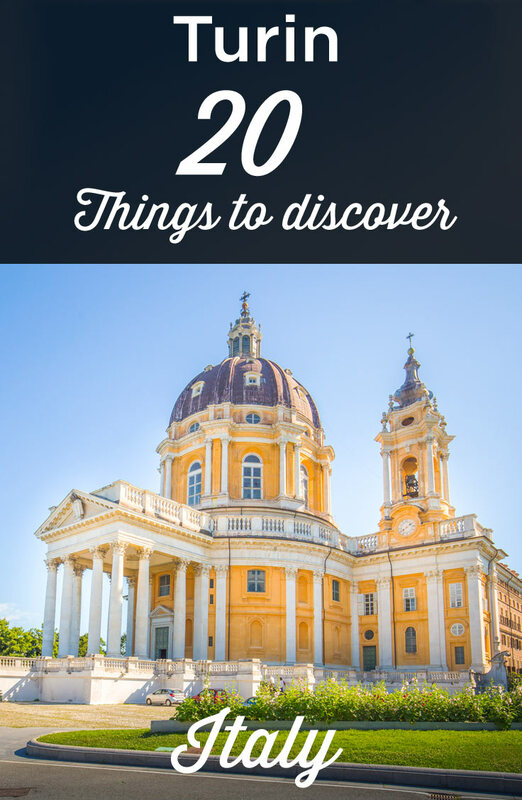 Visit the Superga Basilica early in the morning to enjoy a visit without too many people. From 10 o’ clock onwards, the parking lot fills up quickly and the peace of the place is a little disrupted! 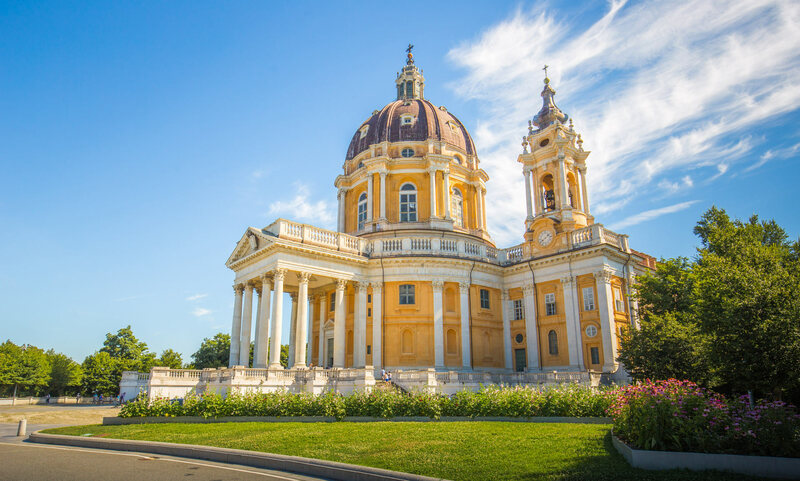 A masterpiece of Baroque architecture, the basilica of Superga. Discover the historical centre, from San Carlo Square to Castello Square, around the palazzo Reale and the palazzo Madama. 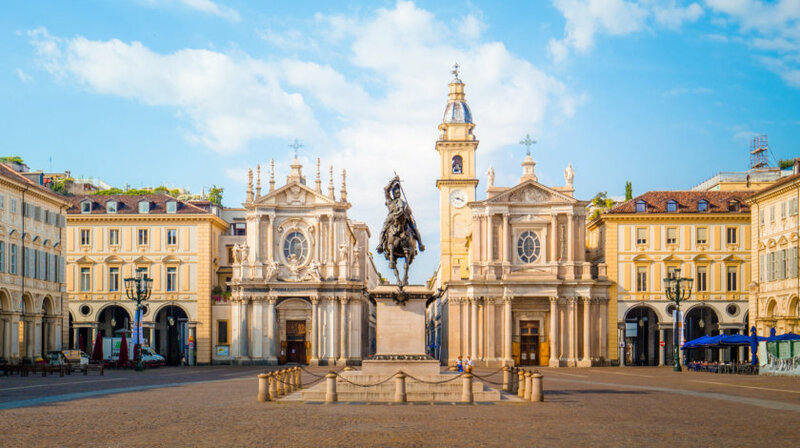 Then head to the the Vittorio Veneto square to cross the bridge, passing in front of the church of Gran Madre di Dio and climbing the Monte dei Capuccini for a panoramic view of Turin. Stroll in the Valentino park, the medieval village and along the Po river. 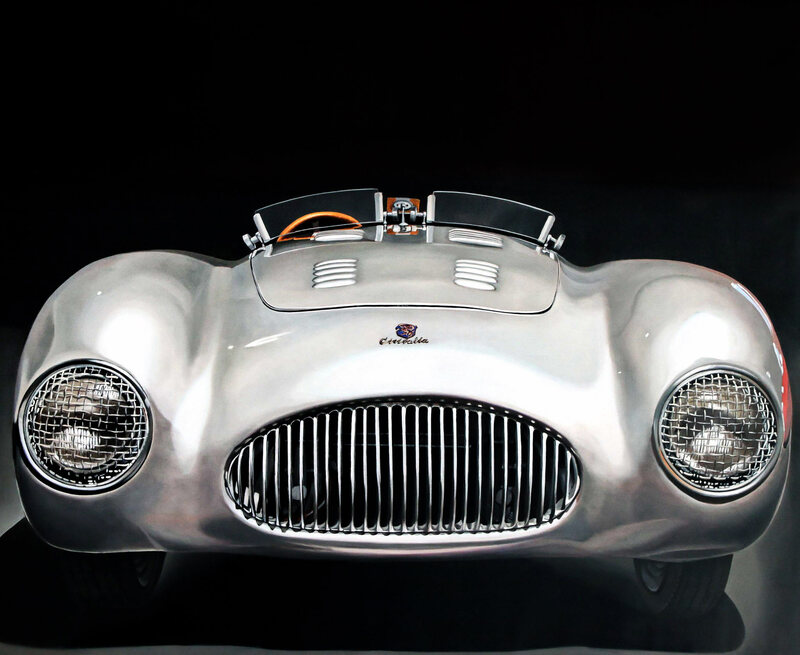 Or the Museo dell’Automobile if you are a car lover. When you arrive in Turin or on your departure, you should go to the basilica of Superga and at the Monte dei Capuccini to enjoy the view of the city. If you will be in Turin for 2 days, it is worth taking the Torino Card. Here is my suggested itinerary. Start with Piazza San Carlo and its 2 twin churches, go up to Piazza Castello, stopping at the San Federico gallery on the left of Via Roma. Visit the Cinema Museum located in the Mole Antonelliana. You will have the possibility to take the panoramic elevator. 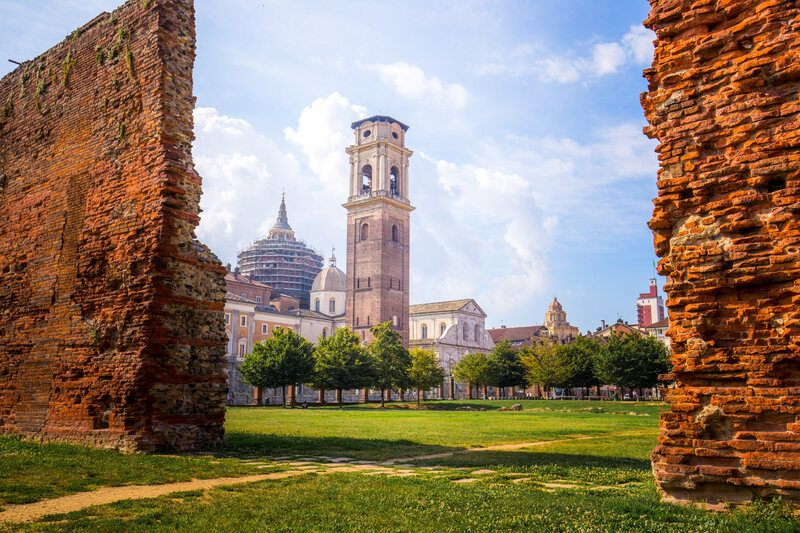 Go to Piazza Vittorio Veneto, cross the Emanuele I bridge and admire the church of the Gran Madre di Dio, go up the hill to the Monte dei Capuccini. Start the day by going to the Catedrale di San Giovanni Battista, where the Shroud of Turin is located. Go through Porta Palatina to reach the piazza della repubblica and the market. It’s open every morning. 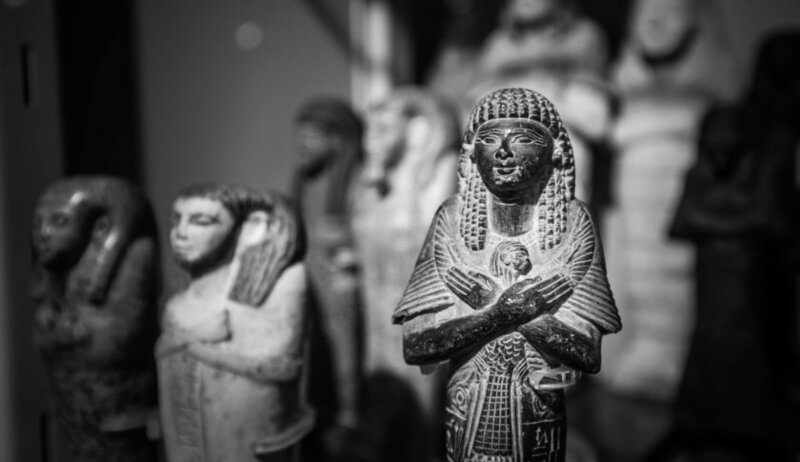 Visit Turin’s Egyptian museum and immerse yourself in the Egyptian civilization. 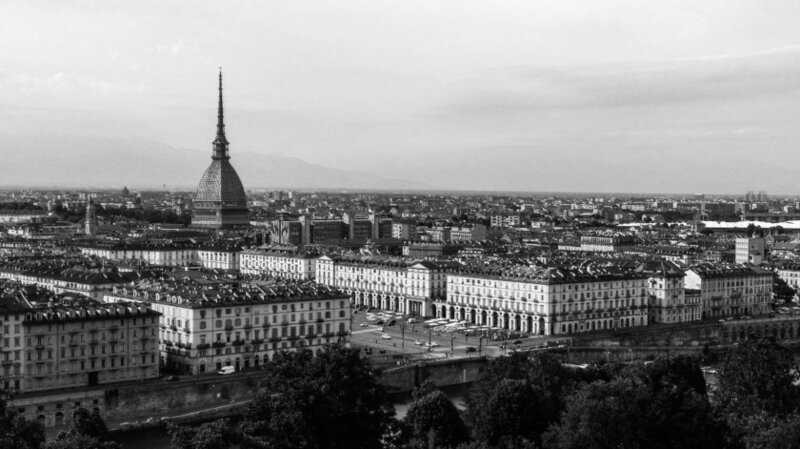 For the beginning of your 3 days stay in Turin, take the program of the first 2 days. Relaxing afternoon in the Valentino park with a walk along the river and the visit of Turin medieval village. 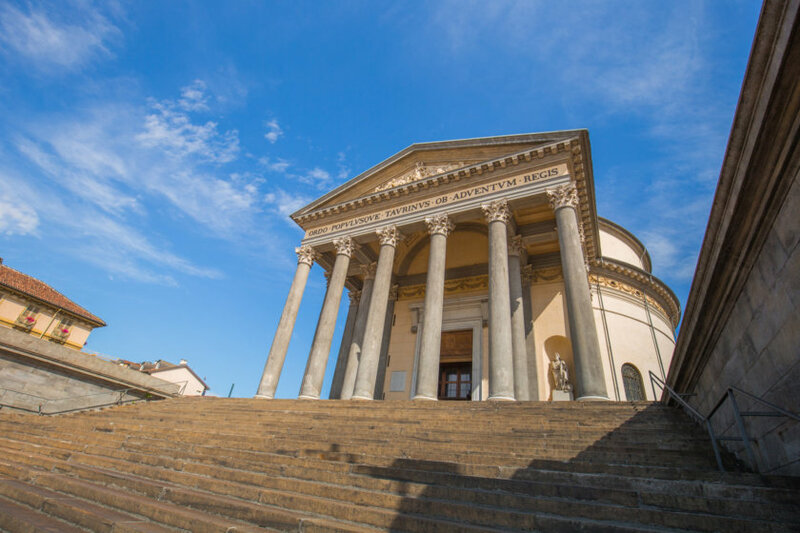 Climb up to the basilica of Superga, a jewel of baroque architecture. In 3 days in Turin, you’ve had time to discover the main points of interest. For this fourth day, you can visit the other museums of the city as it has no less than 40 museums. 4 days in Turin can also be a good choice if you travel with your family, as the pace will necessarily be slower. An excellent idea for this 4th day can be to go on a day trip to Milan, less than 1 hour away by express train. 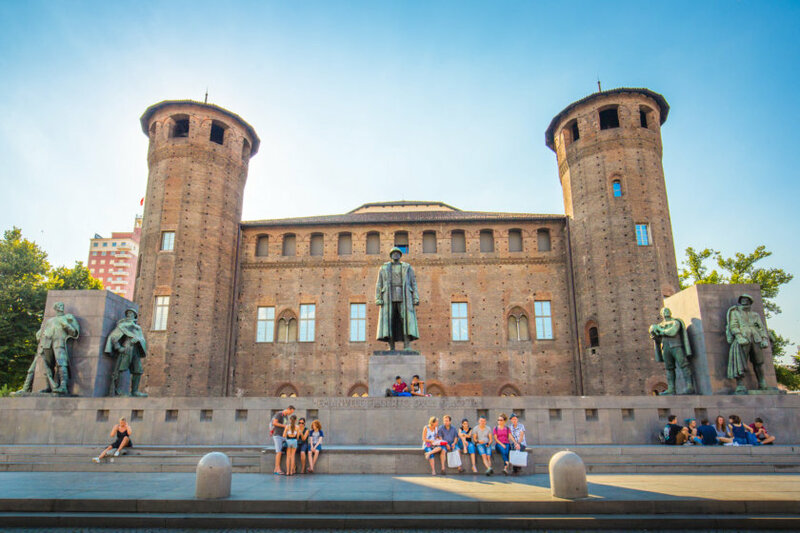 One day in Milan is enough to see the 3 main attractions of the city: the cathedral of Milan, the Vittorio Emanuel II gallery and the Sforza castle. If you plan to visit Milan, you should read my article: The 10 best things to do in Milan. Attic Hostel Torino: Youth hostel located about 15 minutes walk from the Palazzo Reale. Bed in dormitory from 24€. Strong points: welcoming managers, location, cleanliness and comfort of the rooms. Torino 1854 Affittacamere: Located 700 meters away from the Egyptian museum, this hotel is brand new. Colorful and comfortable double room from 65€ per night. Strong points: its excellent location, quiet and close to the city centre, the modernity of the hotel. It’s the best value for money in Turin! Matteotti 25: Located at 10 minutes on foot from the Egyptian Museum. Large modern and bright room from 95€ per night, breakfast included. Strong points: its location, the copious breakfast. NH Collection Torino Piazza Carlina: Located in the historical center of Turin. Elegant and comfortable double room from 200€ per night, breakfast included. Strong points: The friendly abd very helpful staff, the interior design, the perfect quietness, the amazing breakfast and the ideal location to visit Turin on foot. The view from the terrace is also amazing! It’s the best choice for a luxury stay in Turin! If you prefer to rent a full apartment to get more space and be able to cook a bit, I highly suggest you to have a look at Apart Hôtel Torino. They are located at 500 meters from Valentino Park. The apartments are modern, well equipped and the interior design is amazing. Starting at only 100€ per night. The best apartments in town! Porto di Savona: Located on the Vittorio Veneto square, this restaurant offers typical Piedmontese cuisine at an affordable price. I had a great time and I highly recommend the gorgonzola gnocchi, they melts in the mouth and are just delicious. Everything is home made, pasta and desserts. Booking is strongly recommended. La Taverna dei Mercanti: Located in a street adjacent to the Consolata sanctuary, amazing typical Piedmontese dishes. Very warm welcome from the boss. After diner drink offered at the end of the meal. Pescheria Ristorante Gallina: Located in front of the market, on the piazza della Repubblica. This fish shop-restaurant offers dishes based on fresh and succulent fish. Fixed menu for lunch at 15€ including dish + bottle of water + glass of wine + service. Reservations are not possible. Visiting Turin was a beautiful discovery and a nice surprise. The museums have all been recently renovated, so they are modern, very well done and impressive. The royal residences are also magnificent and very well maintained. 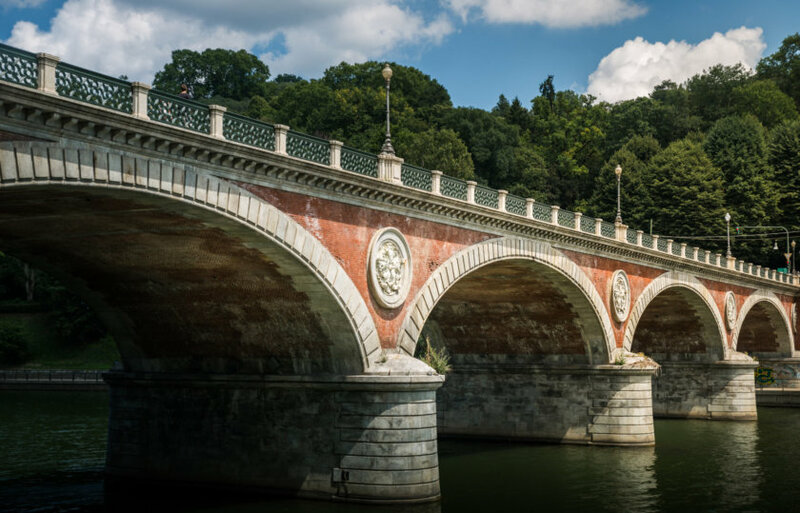 We can see that the city of Turin has invested in tourism while respecting as much as possible its history and highlighting its cultural heritage. And, of course, as everywhere in Italy, the food is super good! And you, what do you plan to visit during your stay in Turin? Discover all my articles about Italy: All my articles to help you plan your trip to Italy are listed there. You’re using Pinterest? Here is the picture to pin! Creator of the Voyage Tips blog, travel and photography lover. I give you all my best tips to plan your next trip. Next Article Itinerary: 2, 3, 4 or 5 days in Sicily – What to do and see? First of all, thank you for your city guide, it’s very detailed and will allow me to easily prepare my stay in Turin. However, there is something I am still not sure about: I will be in Italy for 3 weeks in September and I am hesitating between staying 3 days in Turin and 2 in Milan or the contrary. You’re welcome, I am very happy my guide of Turin is helping you to prepare your trip! About Turin and Milan, it’s a question I hear quite often, and the answer can be a bit surprising to some people: There is actually more things to do in Turin than in Milan. Thus, my suggestion would be to spend 3 days in Turin and 2 in Milan. It would be the perfect duration to see each city’s best places to visit. So, you enjoy traveling too? Compare prices and save money!